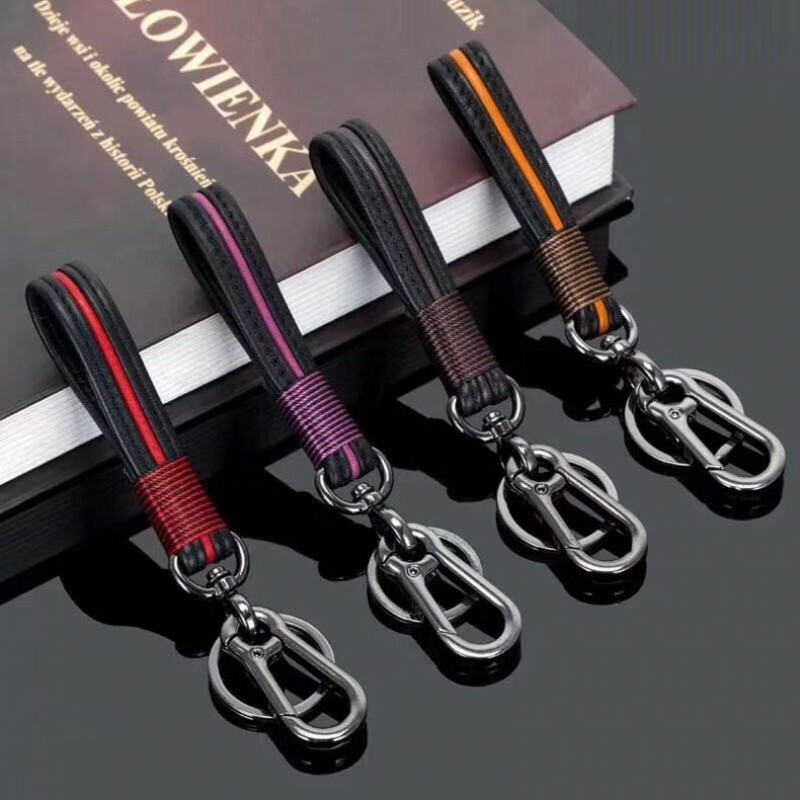 FINEST QUALITY, DURABLE MATERIAL : EMMETI handmade leather keychain is made of top grain leather which makes it very durable. 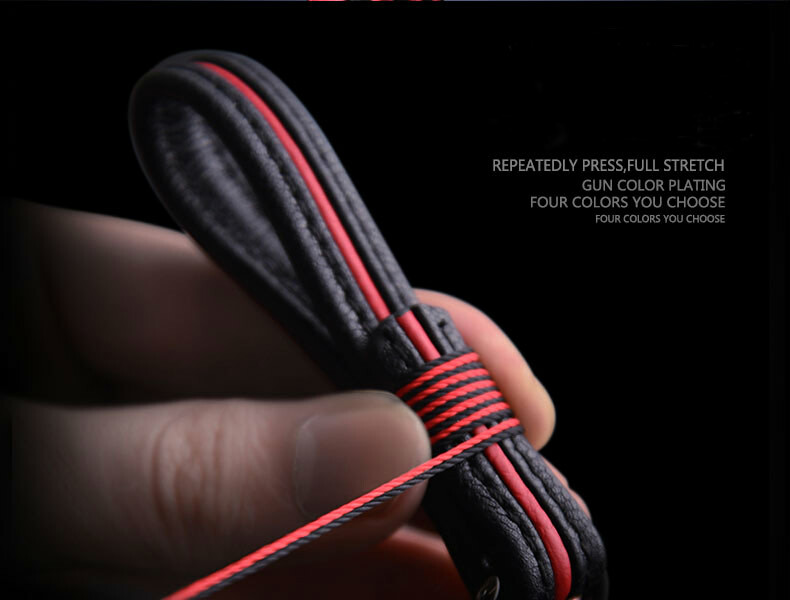 ELEGANT DESIGN : Looks perfect from every angle. 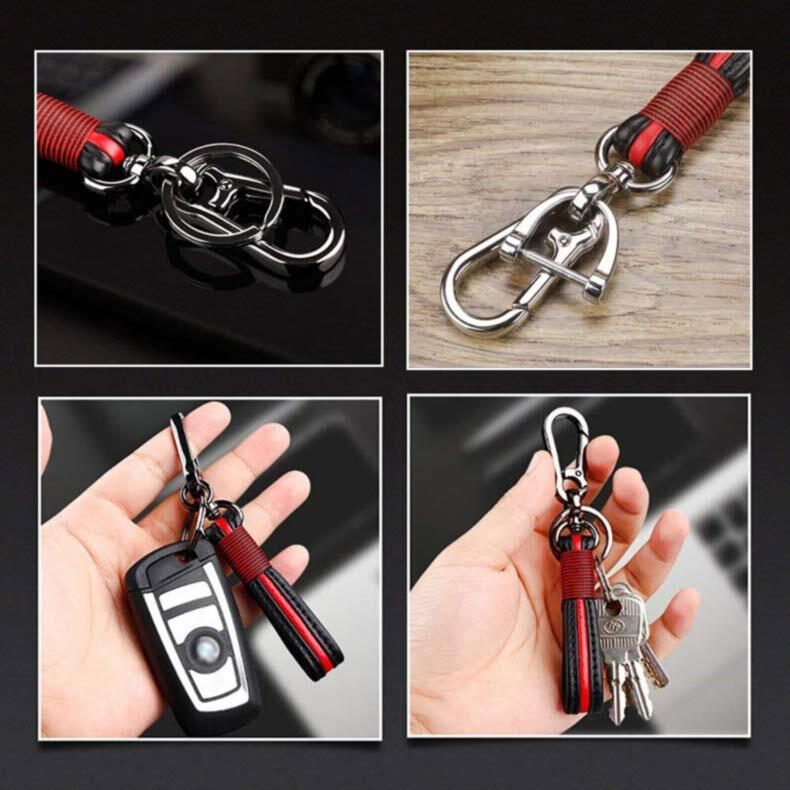 The bright color will help locate your keys easily. Classic Style, no matter using how many years, it always will not be washed out. 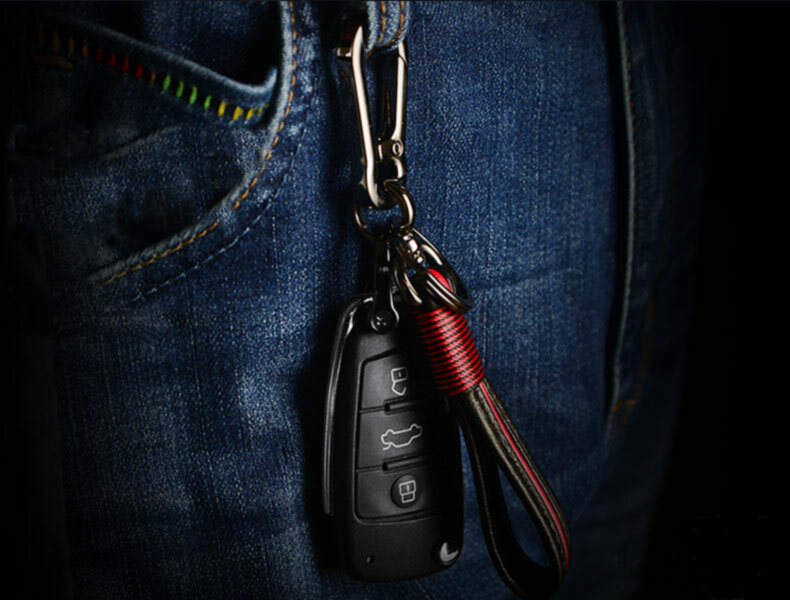 FUNCITIONALITY: our leather keychain adopt the combine idea. 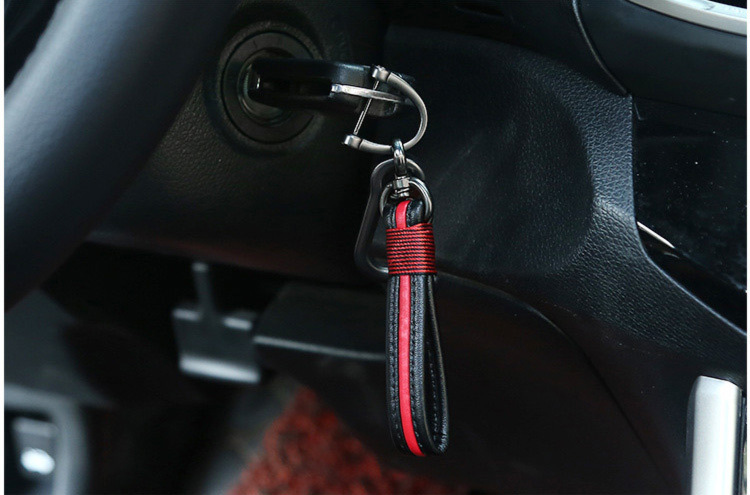 Detachable key chain is suitable for separating your home, car, and office keys. 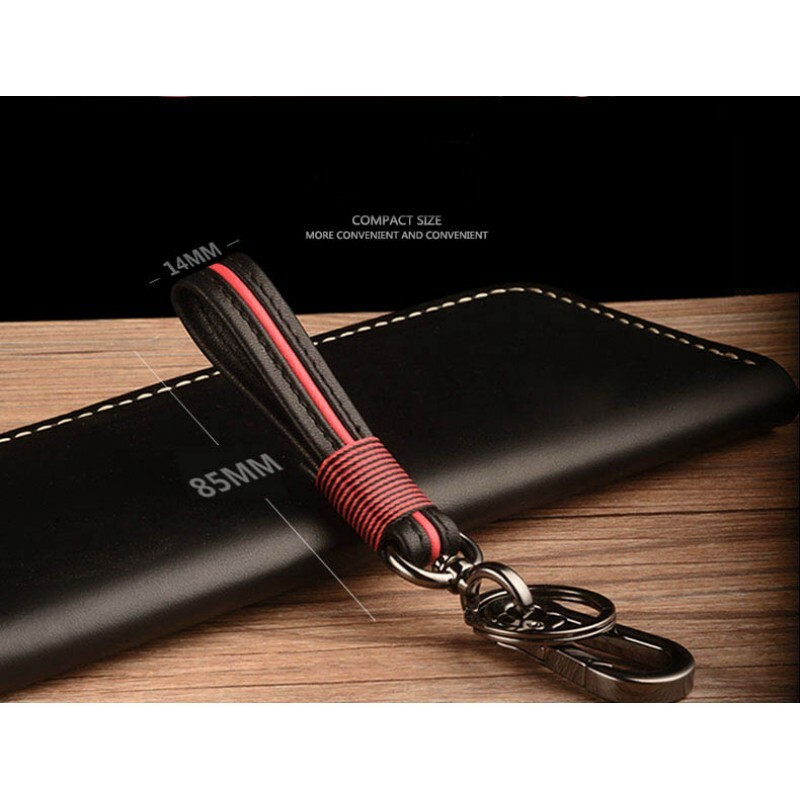 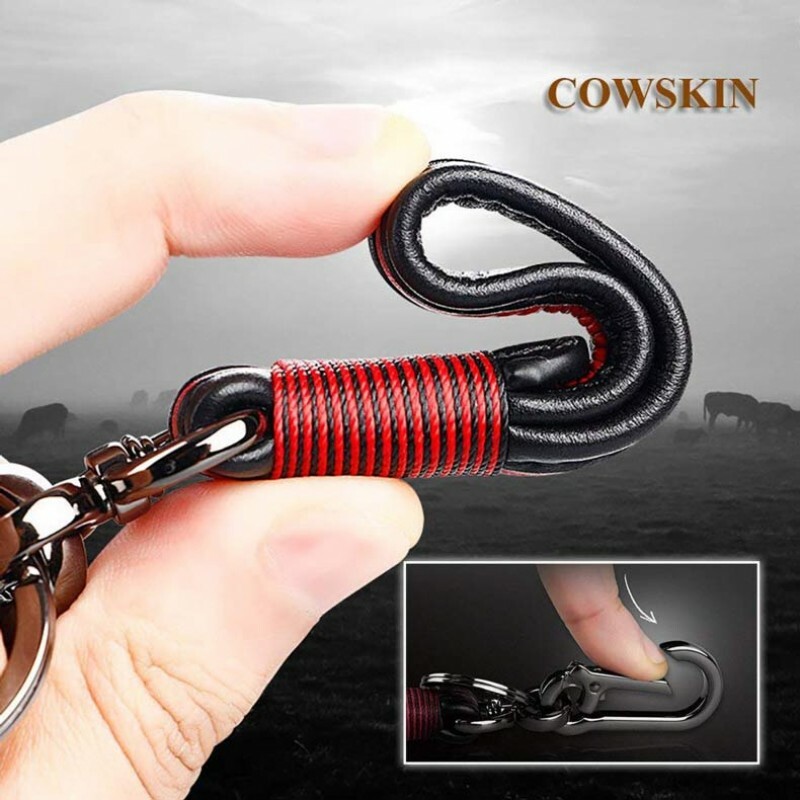 It is an extremely durable key chain for home, men, women and more. HANDMADE BY EXPERT: Very trendy unique and highly detailed artwork designed and made by skillfully handcrafted. Every key chain is thoroughly inspected before leaving the factory. 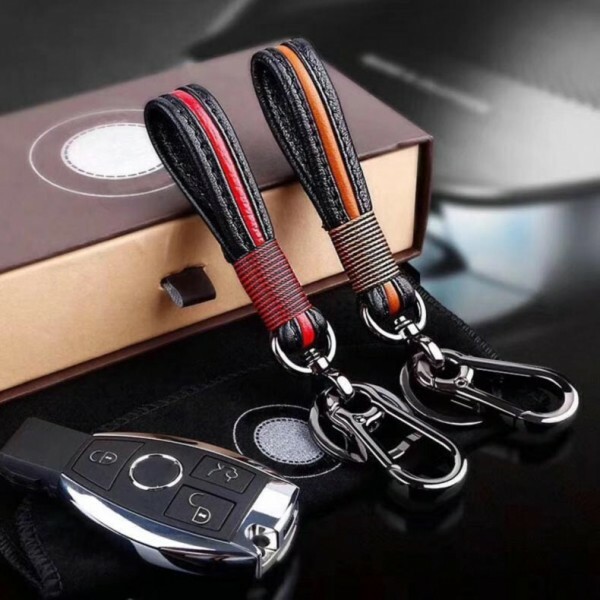 Multiple purpose keychains are suitable for hanging bag decoration, keychain pendants, ornaments, cellphones, car keys(suit for all car models), home keys, all keys or other wonderful objects.